The numbers for this weekend’s box office have now rolled in and though it was a close race, Ridley Scott’s Alien: Covenant has squeaked by Guardians of the Galaxy Vol. 2 to claim the top spot. With $36 million under its belt (down from the projected $40 million), the new chapter in the sci-fi/horror saga flew to number 1, though that doesn’t necessarily mean Fox execs are happy with the film’s performance. Why? Well its predecessor, Prometheus, raked in $51 million during its debut a few years back and even when you factor in Covenant‘s international open, which saw it generate $42 million across 34 different markets last weekend, it still doesn’t look like it’ll be able to match the box office take of the 2012 flick, which finished with $403.3 worldwide. That’s got to be disappointing for the studio, especially because the reviews for Scott’s new movie were generally positive. Not to mention they spent a ton of money marketing it. Elsewhere at the box office, Guardians of the Galaxy Vol. 2 claimed second, as mentioned above, with a cool $35 million, while Everything, Everything found itself in third with $12 million. Rounding out the top five were Snatched, with $7.6 million and Diary of a Wimpy Kid: The Long Haul with $7.2 million. So, not much competition then for Covenant (especially since most people have probably seen Vol.2 already), which makes its performance even more disappointing. Its international haul could end up giving it a significant boost when all is said and done, but will it be enough to justify those sequels Ridley keeps talking about? We’ll have to wait and see, but you’ve gotta believe that Fox is disappointed with the film’s opening weekend and are no doubt looking into what went wrong. 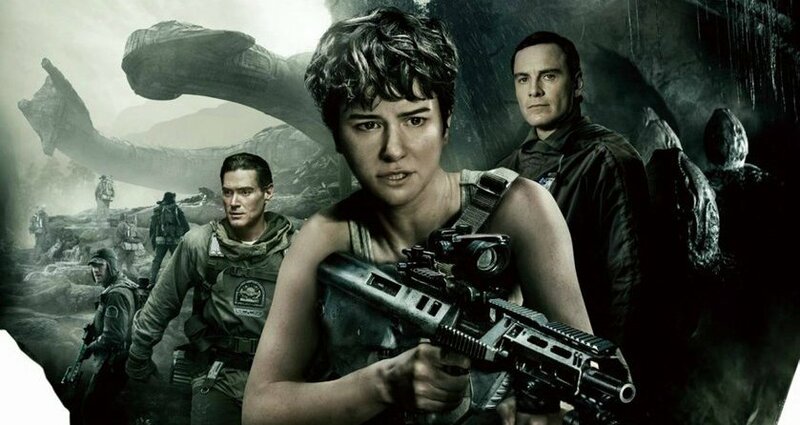 You have a solid movie from a legendary director and it’s part of an iconic series – so why didn’t audiences show up for Alien: Covenant? That’s the million dollar question, and if you’ve got any theories of your own, feel free to share them down below.